It has been said that there should be a two-term limit for Congress: One in office, the next in jail. 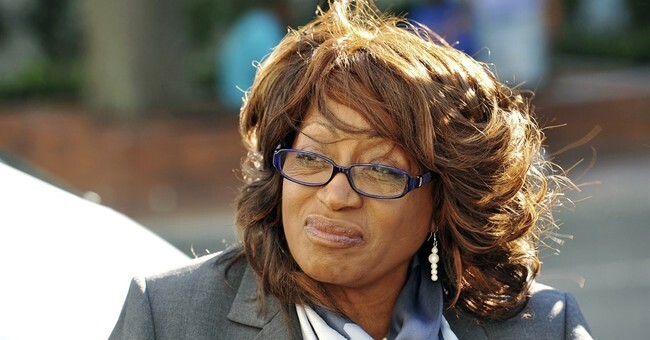 Indeed, that arraignment — er, arrangement — would have served voters far better than allowing Congresswoman Corrine Brown to fleece Florida and the nation for nearly a quarter of a century: twelve terms in Congress. Brown lost the seat for a 13th two-year lease in last year’s August primary, but only after being indicted a month earlier on 24 felony counts of fraud and obstruction. Let’s first take a moment to eulogize competitive elections — regrettably long dead — and then recognize how incumbent-dominated today’s congressional elections have become. Rep. Brown was one of only five incumbent members of Congress — including both Democrats and Republicans — to lose a party primary contest in 2016. Incumbents were defeated in an infinitesimal 1.3 percent of their races. And consider: Two of the five defeated incumbents, 40 percent, were indicted on felony fraud charges prior to their loss. (U.S. Rep. Chaka Fattah (D-Penn.) is the other inductee — er, I mean, indictee.) One of the five was defeated by another incumbent; they faced each other due to a redistricting adjustment. Another one of the five chose to switch districts, because a redistricting change altered the GOP-leaning district he had been “representing” more in favor of the Democrats. In fact, Rep. Corrine Brown lost last August by 48 to 39 percent in a Florida district that was redistricted to contain only 38 percent of her previous district — meaning 62 percent were voters for whom she was not really the incumbent. Had her previous district remained intact, would she have prevailed, even facing all those felony charges? All of which leaves one and only one incumbent, who wasn’t either under indictment on numerous felonies involving corruption and/or outside his or her “incumbent district,” that was defeated in all 435 congressional primaries in 2016. That is dominance. And despite the fact that no one even likes these blowhards. The “charity” raised over $800,000 between 2012 and 2016 and provided two scholarship grants together totaling $1,200. That amounts to less than 0.0015 percent of the money raised that went to the stated mission. Conversely, Simmons pled guilty and testified against Brown, now a former U.S. representative. So did Carla Wiley, who had been president of One Door. The group added that Rep. Corrine Brown unsurprisingly voted against a constitutional amendment to impose such limits. Awaiting sentencing, Brown continues to claim her innocence. But the 70-year old former congresswoman now faces a possible sentence of 277 years in prison and hundreds of thousands in restitution and likely fines. Rather than this current model of a quarter century spent wreaking havoc as a scheming, fraudulent congressperson, to be followed by more than a quarter millennia served in federal prison, we can improve. One term in Congress, followed by one term of equal duration in prison, would be better. Or just limit congressional terms and don’t create demand for prison openings. “I’m proposing a term-limit of six years for members of the House and twelve years for members of the Senate,” President Trump urged during the campaign.